11th January 2015 – For the second week in a row Magdalyne Masai (KEN) and Timothy Toroitich (UGA) achieved the same result in a cross country race in Spain. This time it was at the 60th Cross Internacional de San Sebastián and on this occasion it was a pair of second places. 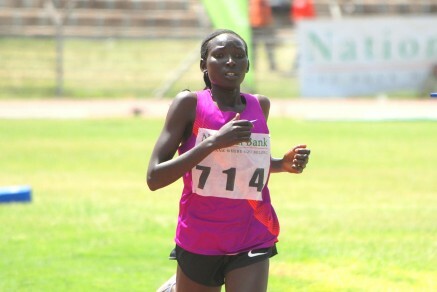 Maggie came the closest to victory but she was just outsprinted over the final 100m by fellow Kenyan Besty Saina. Maggie clocking 23:20 to Saina’s 23:18 for the 5.3km course. Timothy’s run of four successive victories in Spain came to an end but he put in another strong performance as he and race victor Teklemariam Medhin finished well clear of the rest of the field. It was only over the final kilometer Medhin got away as the muddy underfoot conditions were not to Timothy’s liking. At the Great Edinburgh Cross-Country event Tom Lancashire (GBR) had an excellent run against world class opposition in the mens invitational 4k. Tom was the first European athlete across the line and again showed that his winter training is going well in preparation for the summer track season. In the inaugaural 2x1km mixed relay Jemma Simpson (GBR) was part of the England team that took 4th.